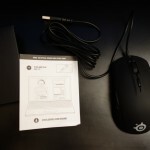 Within the packaging of the Rival 100 you’ll find only the mouse and a set of quite useless manuals, which essentially tell you to go online to download drivers. I’m not sure about the logic there from SteelSeries, as they might as well save money on packaging and documents, than including a very useless paper – think of the trees! Let’s jump straight to the build quality of the mouse, which in its entirety is very good. 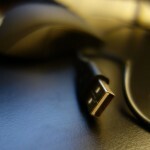 The mouse is terminated by a silver-plated USB which is connected to the mouse itself by a non-braided cable. It would have been nice to see a gold-plated USB and braided cable included here. Moving to the mouse itself, it has a matte finish which is rubberised, meaning you aren’t left with fingerprint marks. Do bear in mind you can find this mouse in various colours and designs. At the top of the mouse you’ll find the traditional 3 buttons (left, right and scroll wheel), and another small customisable button. On the left-side of the mouse you’ll find two additional buttons which again can be fully customised. There are no buttons on the right hand side of the mouse. 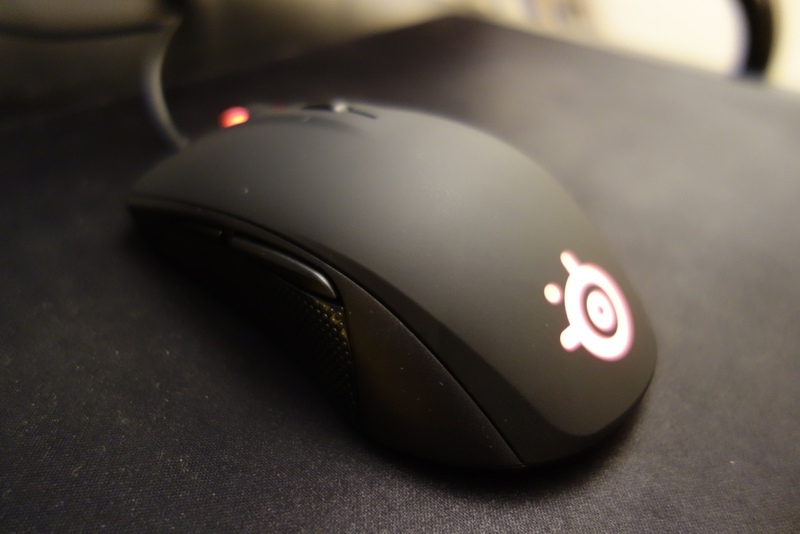 The mouse has lights on both the scroll wheel and by the SteelSeries logo found by the palm of the mouse. 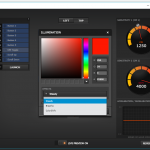 The colours can be fully adjusted via the software, and via GameSense the mouse can react to certain games, such as CS:GO, Dota 2 and Minecraft. The mouse has a full spectrum of colours to choose from, so you’ll be able to make the mouse yours. In terms of the actual mouse clicks and scroll wheel, I found it to be neither too loud nor quiet. 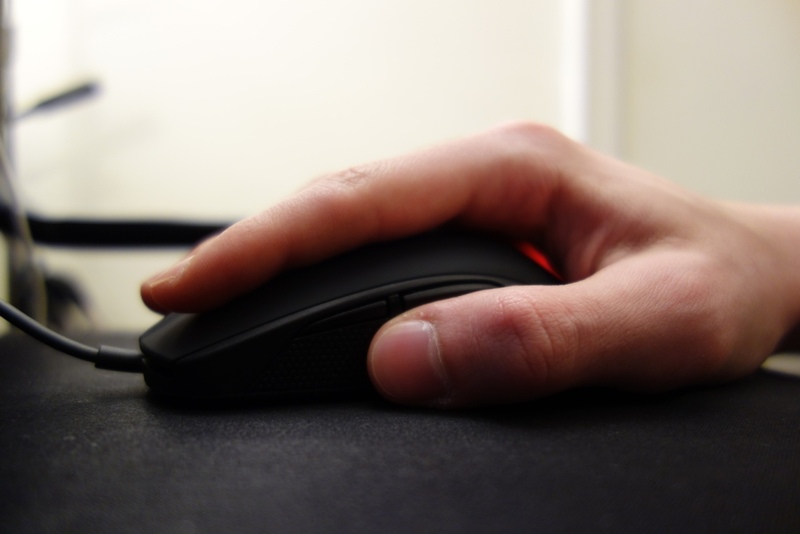 The scroll wheel has a satisfying clicky nature to it, which is useful for games, as you would like a noticeable click, rather than a soft scroll wheel. Overall the build quality is very good, although I would have liked to see a braided cable and a gold-plated USB cable included. The design of the mouse is somewhat subjective. I found the mouse to be really well suited for those who are claw-grip users. As the mouse is quite flat, I found it uncomfortable using it for long periods of time, as my hands which are between 16-19cm from the tip of the middle finger till the end of my palm, were too big for the mouse’s ergonomics. 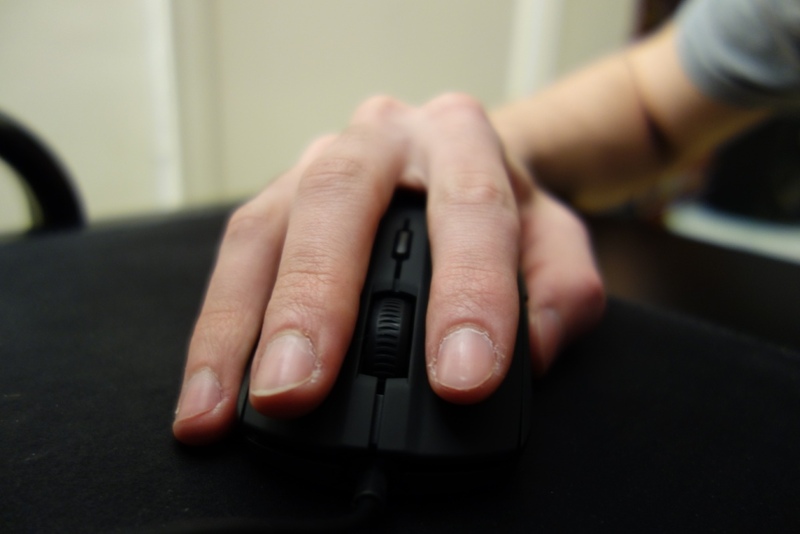 The mouse therefore is designed for those that either have small hands, or those that naturally use their mice with a claw grip. On the plus side, the mouse is symmetrically designed, where it can be used by both right and left handers, in my opinion a nice touch by SteelSeries. Do note that if you’re a left-handed user, you won’t be able to easily use the keys found on the left-side of the mouse. Finally, in terms of design, it’s nice to see the fully customisable colours included, which also work very well with GameSense. I should also say that the grip of the mouse is well thought out, with a textured material found on either side of the mouse. Overall, the design is good, albeit not perfect for those who aren’t used to a claw grip. The Rival 100 houses PixArt SDNS-3059-SS sensor, which was specifically made for the Rival 100 and is (from what I’m aware) exclusive to SteelSeries. The SDNS-3059-SS is based off the Avago ADNS-3050 which is a decent sensor, but has been slated by some for its poor jittering performance at higher DPI levels. I can safely say that the SDNS-3059-SS didn’t have any problem at any DPI level. I performed my own basic tests whilst gaming on CS:GO and testing how the mouse acceleration, deceleration and 1:1 accuracy was. From the tests I performed myself, I was extremely impressed by the mouse’s performance, where it would perform very well, and at a very accurate level, which was a pleasant surprise given its cheap price tag. In fact, in comparison to the more expensive Sensei mice I had previously reviewed, the Rival 100 outperformed their sensor performances, mainly due to the close to perfect accuracy and lack of acceleration it had. 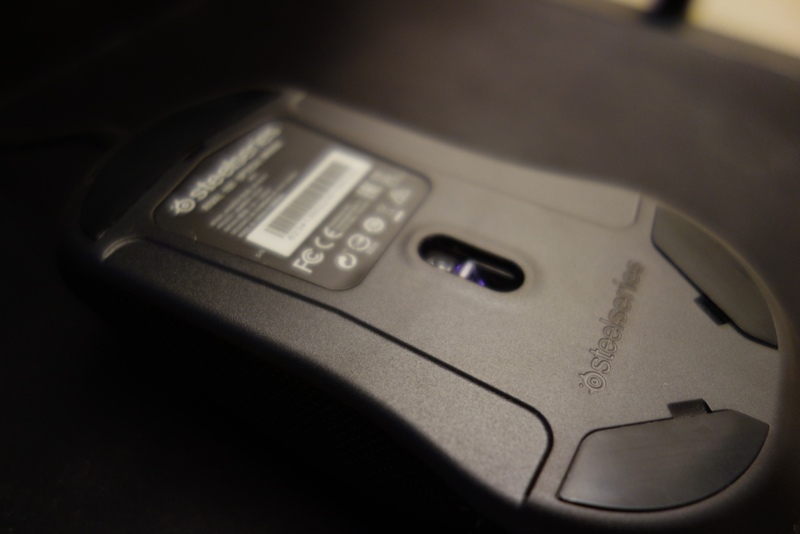 Other sensors, such as the Avago ADNS-A9500 found in the Sensei has a lot of acceleration and deceleration problems which occur when the mouse is used at a fast pace. This was definitely not the case with the Rival 100, and it was refreshing to test a mouse that’s only £27 and yet has very good sensor tracking. The mouse’s performance wasn’t perfect, when compared to the Logitech G303 and G502, which house the very impressive PixArt PMW3366 sensor, I did notice very slight variances in its 1:1 tracking ability. This is extremely minute, and took a lot of backward and forwards to notice the difference. Overall, the performance of the mouse is extremely impressive, no matter at what price you would pay for the mouse. Given its cheap price, it just adds the icing on the cake and I’m really pleased with what SteelSeries and PixArt have produced! 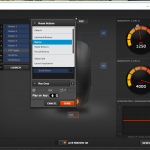 The SteelSeries Engine 3 software performs well and complements the mouse. 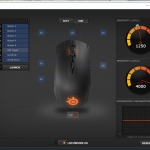 The iteration of the software is the same across most SteelSeries products now and I must say that I haven’t been disappointed by it, unlike before when SteelSeries had terrible software support. 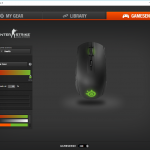 Through the software you’ll be able to launch GameSense, which essentially is a way for your mouse to communicate with certain games. 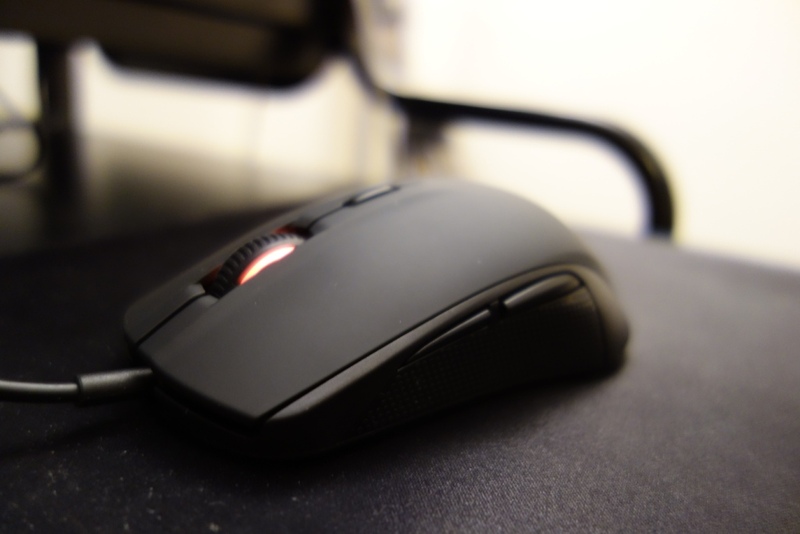 This makes your mouse a part of the game; for example in CS:GO you can link the colours of the mouse to your ammo – the more you shoot, the darker fade the Rival 100 will get. It’s a nice touch, but as I’ve previously said in my SteelSeries Apex M800 review, I find it kind of useless, where I can’t see someone looking at the mouse rather than at the screen. In terms of functionality, the software has everything you would need – you can re-map the buttons on the mouse, change its colour, behaviour and finally create different profiles, in order for you to have dedicated profiles for certain games. Overall, the software is a good addition to the mouse’s overall experience. 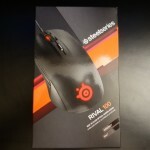 In conclusion, the mouse provides a great overall experience, where I was not only impressed by its performance, but by the details SteelSeries added through the software and even its lights which work perfectly with GameSense. In all honesty, when it comes to budget mice, you see companies really cutting corners, and in the past I feel SteelSeries have been known to do the same. The Rival 100 however, sets a new benchmark for budget mice from major manufacturers. I don’t know of a budget mouse, be it from a Chinese manufacturer or a well known gaming brand like SteelSeries that provide the same unRivalled experience (pun intended) at its price point. At £27 you can’t really buy much, but the Rival 100 will now be easy for me to recommend to those looking for a budget mouse. Again, bear in mind its ergonomics, as it’s suited for those who are claw-grip users rather than those who are normal palm users. This is very subjective and depends on your hand size, arch level and even what you’re used to using. If you can test the Rival 100 before buying, then that would be the best option!